or are we building on the foundations of sexism? Ding,ding…..it’s the battle of the sexes round 1. Are women, yet again needing to prove their value and worth compared to their male counterparts?… Are they the Rocky Balboa fighting the stereotypes about women in the workforce who no doubt will “eventually need to have children”, or lack the courage to stand up and fight, cause they are more about the “heart?” Do women in architecture face discrimination and inequalities to their male counterparts, or are the statistical evidence merely a representation of the number of women in the industry that make a choice to limit their abilities because they themselves have had a shift in priorities, rather than because they are being external hindrances causing them to be unable to achieve certain roles? Being the minority gender an advantage or a disadvantage in the industry. Do we need to distinguish between gender in the industry, or rather should we view both genders merely as “architects who are women or men”. Focusing our research on Australia, we will address whether this is an issue or simply a problem conjured up by those looking for injustices that do not exist. We need to explore how female architects really feel about their role in the industry and the respect they do/do not receive in the office, on site and dealing with clients. Before statistics, and looking at the top architectural firms in Australia, more closely, Western Australia, the evidence indicates there are significantly more men than women employed as architects, and more so in the role of directors. 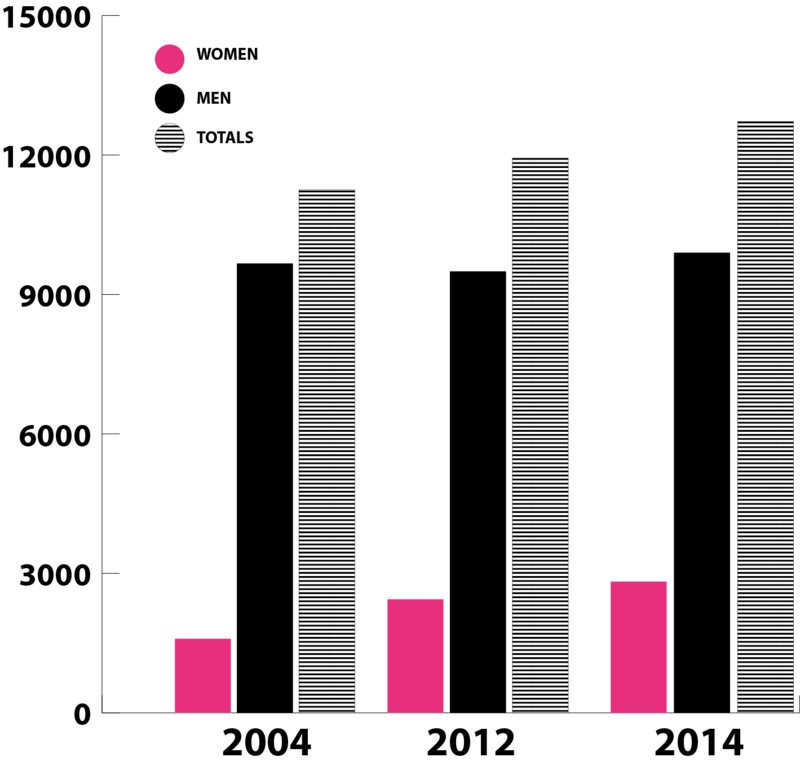 Of the 32 firms surveyed in Western Australia, there are only 3 female directors who founded the firms, and 5 have female directors who are not founders of the firms. Compare this to student enrollment at university, where the difference of male to female architecture students, is in fact minimal. 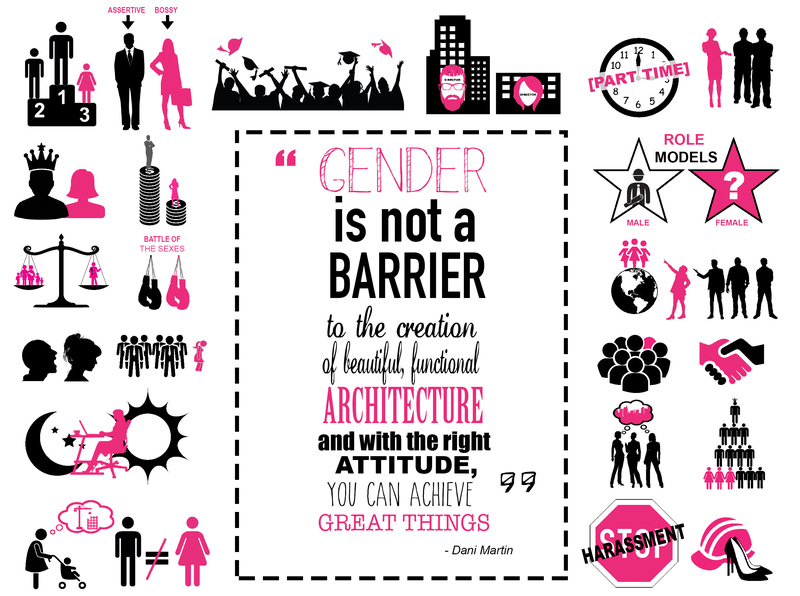 In percentages, 44% of architecture graduates are female and hence 56% are male”. 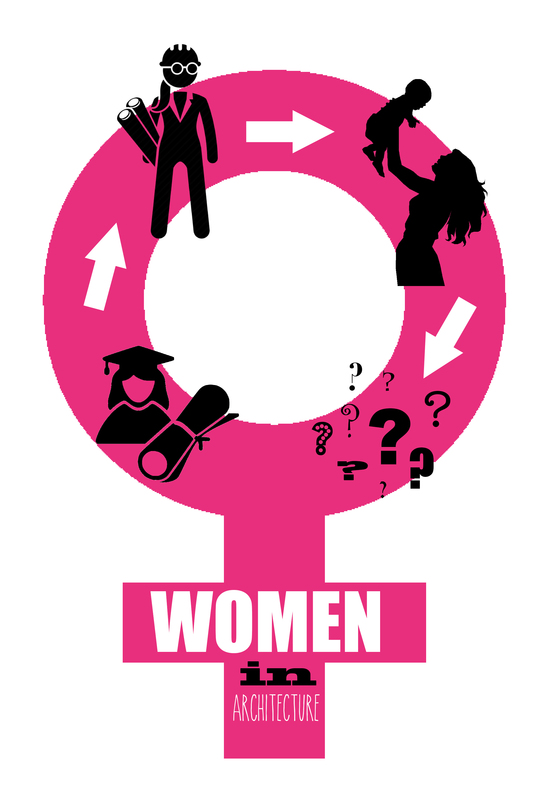 By the figures, the proportion of non-registered female architects is 49%, with 28% of men not registered. 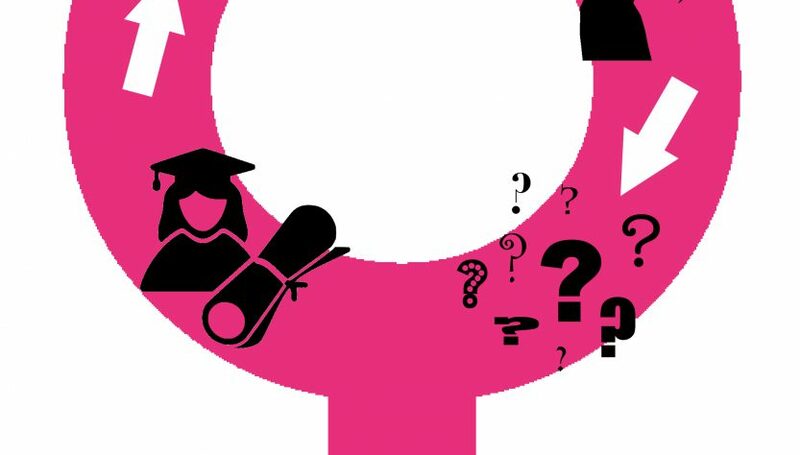 So where are all the female students going after graduation? Firstly, taking a different perspective of this issue, let’s look for any issues for men in architecture. For example, when a child in a family is sick, there exists the expectation for the “mother” to be at attendance to look after the child, because traditionally this is a role less ‘attuned’ to the male skill set. 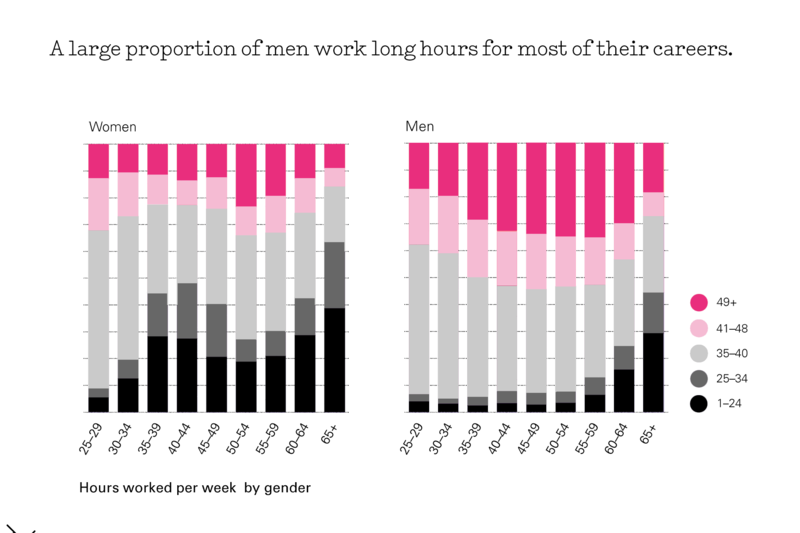 Men work for longer hours than women in their careers (figure 1), and it’s this culture and expectation to work long hours, that helps fuel the driving force for many women to leave the industry. The struggle of juggling work and home life means they do not feel they are adequately fulfilling their role as an architect. On the flip side however, being a minority on the construction site can work in favour for female architects, as has been pointed out by architect Hannah Tribe (director of Tribe Studios). She believes that gender does not prevent anyone from joining the architectural industry and views it as advantageous. She spoke of the ‘question asking approach’ when on site and negotiating with builders— a strategy where builders and contractors are willing to share their knowledge to “teach” female architects, opposed to when a male architect on site asks as question, it can turn into an “ego and macho issue”. Why is it that “one in five women reporting on the 2015 women in architecture survey”, would not encourage girls to go forward in an architectural career?” A reason suggested by Dani Martin, specific to Perth is there is a culture of ‘keeping ideas, rather than sharing them’. Not just an issue faced by women in architecture, but architects in general, Martin believes that it is something that needs to change within the industry. This creates a flow on effect to the reasoning behind the lack of women in architecture in Perth whereby “the culture of privately held large companies that tend to perpetuate the Perth ‘old boys club’, a powerful cultural force in this city (not a good one!). Perth is a very ‘conservative city with a strong “school ties” mentality.’ With fewer “female role models as architects to aspire to”, is it any wonder women are less inclined to register as architects and pursue a career. Thus begins a continuous cycle of less female architects, and less female architects entering the workforce. For Australia as a whole, the amount of female registered architects has moved forward in a positive direction (figure 2), when comparing the proportion of female registered architects from 14.2% registered in 2004, to 20.5% registered in 2012 and finally 22.2% registered in 2014. 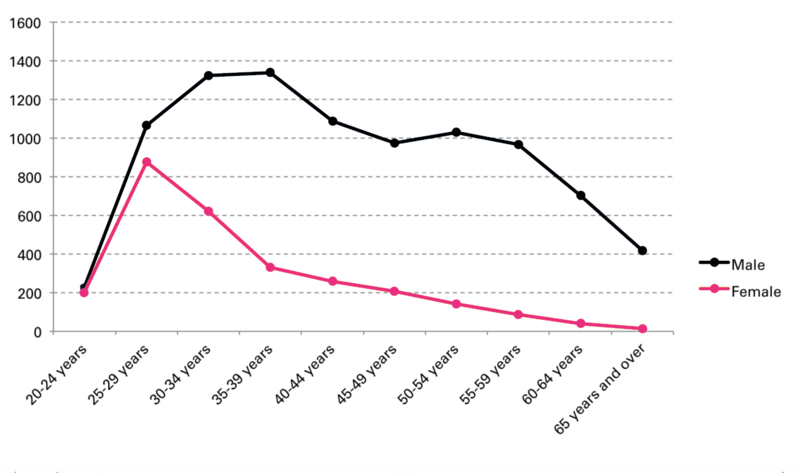 Although this information is promising, 2011 census data illustrates the steeply declining amount of female architects per age bracket (figure 3), and an even steeper decline of the amount of female architects working full time by age bracket (figure 4). 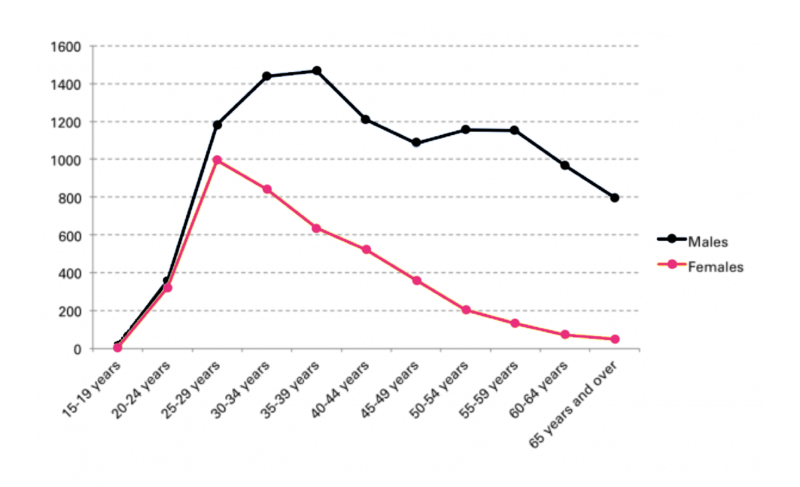 Unsurprisingly, the decline begins to occur during the 30-34 age bracket— the age bracket generally associated with woman wanting to leave the workforce to have children. The topic of architecture and motherhood is one generally spoken about with negative connotations —both during interviews with local female architects and in the responses to the “Women in Architecture” survey. ‘When you have children, you just want to spend time with them and enjoy being a mum’ Discussing this with Stephanie Rush, it is her belief that it is important to ‘have had a few years of working full time before leaving to have children’. The reasoning is to establish a reputation and work ethic in the workforce and amongst others (employees and employers). If a mature age woman was to enter the architectural workforce for the first time with no previous experience— this may pose more challenges for them. More personally, Stephanie Rush worked “massive hours and lived and breathed architecture until I was around 30”, when her priorities (both as an architect and her role as a mother and wife) became divided. 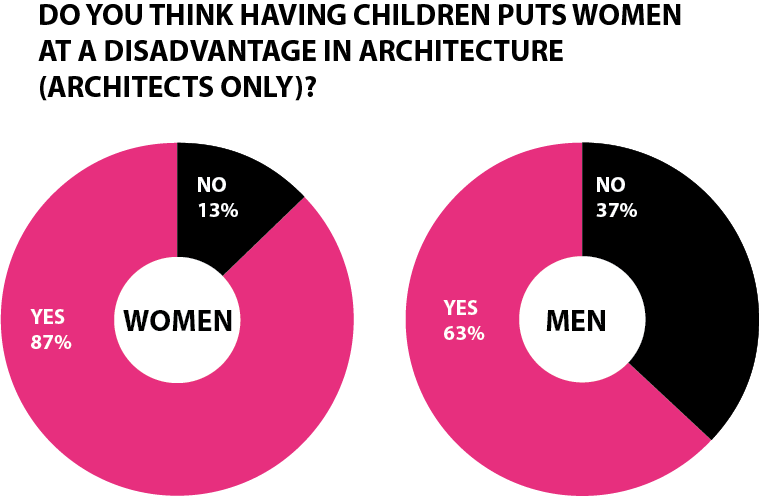 A 2014 Survey by The Architects Journal (figure 5), found 87% of women believe that having children disadvantages women in architecture. Contrasted to 63% of men who agree with this statement, highlights how perhaps male architects do not fully understand the challenges that may face a woman returning to work after having children, where it is unlikely she will hold the same role within the office as before maternity leave, and balancing part-time work with motherhood likely to become more difficult once the child begins school. It is definitely relevant to suggest that this presents as an issue for women in architecture, as the Parlour Survey “Where do all the Women Go? And What About the Men?”, noted that ‘twice as many women had taken a 6 month break, compared to men. And within this break, half of the women (355 women) had taken time to care for children, compared to the 31 men”. Balancing the duties of motherhood with those of an architect can be difficult and highlighted in the Parlour Survey ‘Pregnancy Discrimination and Returning to Work’ , where it calls on female architects to voice their opinions, not just through numbers, but through their words. When asked if their workplace provides flexible working conditions, many responses were that there are in fact no methods undertaken to provide more flexible hours for working parents. “The practice discourages these practices, encouraging all people to work in-house 8.30am–5pm”. And in terms of career progression, many believe that “there is no chance for it if you are working part time”. So in one corner of the ring we have female architects fighting for their rights to equality in opportunity and pay levels, against their male counterparts. Is it a fair fight? Is one of the them punching above their weight, or are they themselves backing into the corners by not totally committing themselves to the workload as they no longer have their “eyes on the prize.” Or are they not receiving the coaching, the mentoring and the belief in their skills, to earn their Title Fight! Kukame McKenzie (Director, Gresley Abas), in discussion with the author, March, 2018. Laura Adams (Associate, SITE Architecture Studio), in discussion with the author, March, 2018. Stephanie Rush (architect, Chindarsi Architects), in discussion with the author, March, 2018.